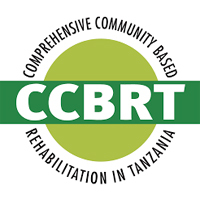 Comprehensive Community Based Rehabilitation in Tanzania (CCBRT) is a locally registered organisation first established in 1994. It is the largest indigenous provider of ophthalmic and rehabilitation services in the country. CCBRT aims to be the leading provider of accessible specialized health services in Africa and serves as healthcare social enterprise and through development programmes the community and the most vulnerable. Committed to preventing lifelong disabilities wherever possible, CCBRT is also engaged in extensive maternal and newborn healthcare (MNHC) activities including obstetric fistula repairs and is currently constructing a Maternity and Newborn Hospital. In line with further expansion of our laboratory services, we have two new positions for additional dedicated Laboratory Technicians and/or Laboratory Technologists. In line with further expansion of our Ophthalmology services, CCBRT is looking for energetic AMOs to assist in outreach services.  Self motivated, flexible and well organized to manage at times, upredictable and variable workload. In order to strengthen our Ophthalmology services and upcoming expansion of our services, we are looking for experienced Vitro Retina Surgeon.  Strong knowledge of administrative and logistic procedures, sound planning and monitoring experience.